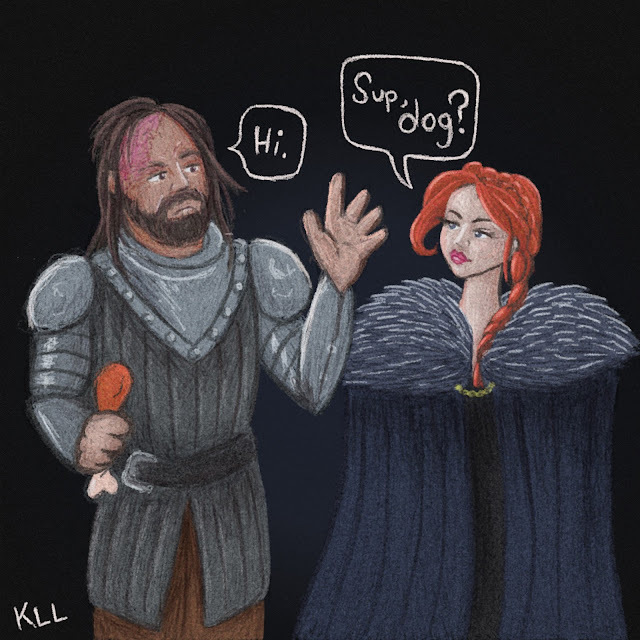 A Sandor Clegane, aka the Hound and Sansa Stark from Game of Thrones. I kinda worked on this on and off since yesterday. I colored it all today. I think it looks alright. I mean I tried to make them look like the actual actors, but when I first got the request I wanted to draw them as muppets. I didn't. So.... hope you like it.